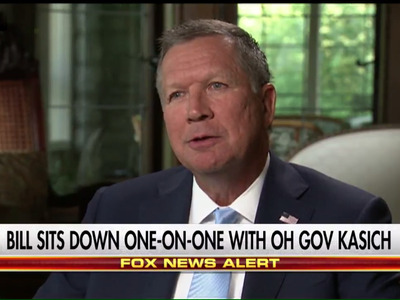 John Kasich told Fox News host Bill Hemmer on Thursday it’s “hard to say” whether he will endorse Donald Trump ahead of this summer’s GOP convention in Cleveland. The Ohio governor said it’s “absolutely” possible he will attend the July convention, which is hosted in his state, and not endorse the presumptive Republican nominee. The ex-2016 presidential hopeful who was the final Republican candidate to drop out of the race when he quit early last month said he had a recent phone call with Trump to discuss whether the governor would endorse. Earlier this week, Kasich called out Trump on Twitter for his latest firestorm: his attacks against a federal judge centered on his Mexican heritage. The brash billionaire has recently lambasted US District Court Judge Gonzalo Curiel, who he has accused of being unfair in presiding over a Trump University case because he is of Mexican descent..
Curiel was born and raised in Indiana. But that has mattered little to Trump, who has said Curiel’s heritage should keep him from presiding over the lawsuit against Trump University. Kasich called on Trump to apologise. Trump backed away from the attacks slightly in a Tuesday statement after a wave of Republicans condemned the attacks, but has not admitted to any wrongdoing. Kasich said it’s “absolutely” possible that he will walk into the Quicken Loans Arena in Cleveland for next month’s GOP convention without endorsing the New York businessman, but he’s still keeping the door open to supporting Trump.